Now Listed Over 35.00% Off Retail Price! Colonial Flag’s External 30’ x 5” Flag Pole is the #1 choice for residential and commercial users seeking a classic flag pole. Our most economical flag pole model! Aluminum flag pole, ground sleeve, flash collar, gold ball, stationary truck, halyard, snap hooks & covers. Colonial Flag welcomes custom orders! See custom color options in the “Technical Specs” section. Of course, custom orders and those out of stock require more lead-time . Call us at (877) 941-3524 for details on color options and lead times. 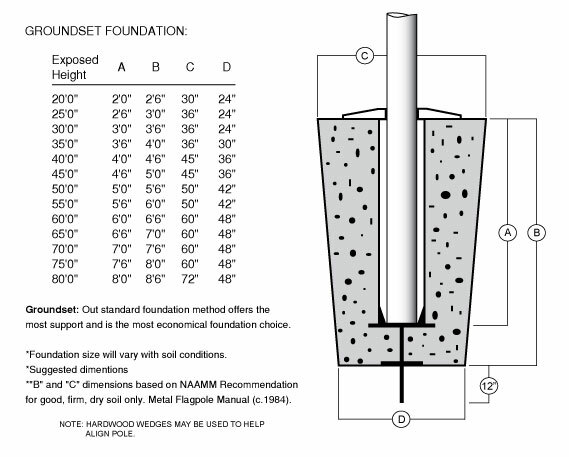 Click the button below to add the External 30'x5"x.125 Residential Flagpoles to your wish list.